Robert Dyer and Bryan O'RourkeWill you be attending Club Industry Show 2011? If so, I hope you'll join me for a round-table discussion and learn what's really going on in the fitness industry. Along with Fitmarc CSO Bryan O'Rourke and longtime friend and colleague Michael Scott Scudder I'll be one of the 5 panelist running the discussion. It's called: "What IS Going On In The Fitness Industry" and is scheduled for Wednesday, October 12 from 10:45AM - 12:15PM. Attendees shouldn't expect smoke and mirrors. Instead, you should anticipate just raw, uncensored information presented by top industry leaders. Ours will be a real, casual round-table talk. Fitmarc and Rooster Racing joined forces to host the "Best of RPM" Masterclass Friday evening before our Lonestar event. Presenters included Les Mills Trainers Dan McDonogh, Steve Renata and Justin Sanchez with special guests from Rooster Racing Chris Cygul and Jim Ray. The objective for the ride was to raise awareness about cancer and benefit the Lance Armstrong Foundation LIVESTRONG®. All 150 bikes were filled with instructors and contributors, and over the course of 3 days, Fitmarc helped Rooster Racing raise over $10,000 for LIVESTRONG®! Rooster Racing is an organization comprised of determined cyclists, Les Mills RPM indoor cycle instructors and fitness enthusiasts who believe in the fight against cancer. Our members are passionate about fitness, raising awareness about cancer and encouraging others to get with the "fight". Many of our members hold fundraising events around the globe each year directly benefiting LIVESTRONG®. 13th Rio Sports Show, right around the corner! 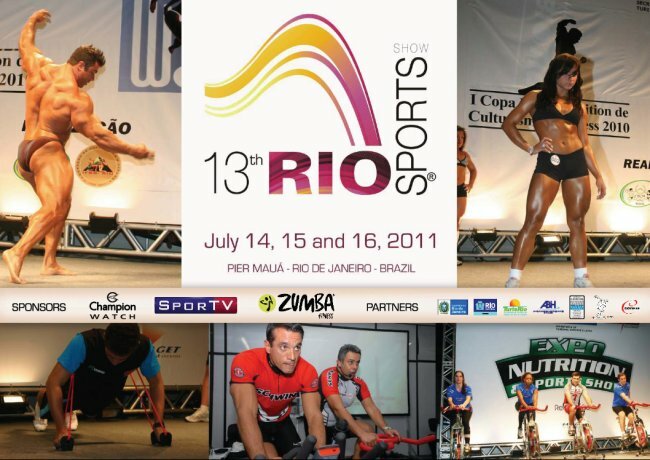 Is anybody else getting excited about the 2011 Rio Sports Show Fitness Conference this week? If you happen to be there and pass by, make sure you say hello! Check out Robert's Fitness + Technology podcasts here! Copyright © 2017, Robert J. Dyer. All rights reserved.